Drumroll please… with its latest offering, Emirates hits the ball out of the park. 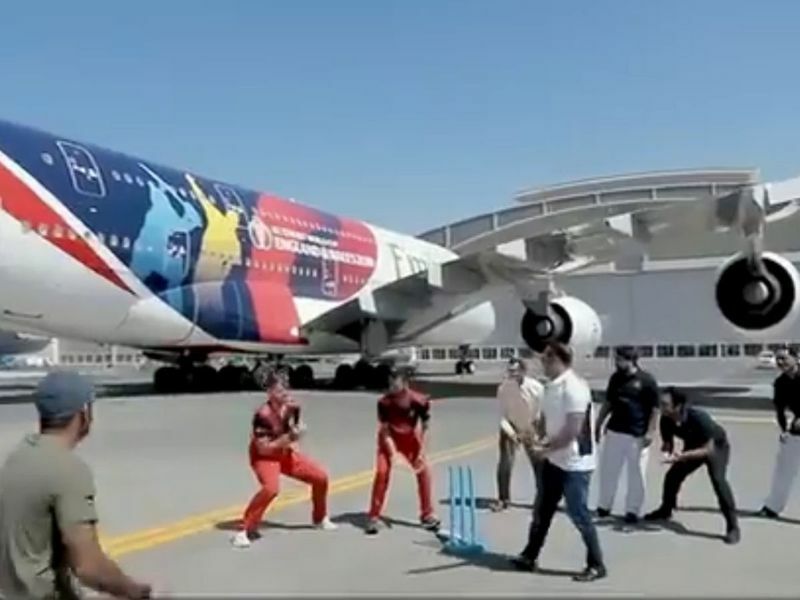 The Dubai-based carrier has launched its ICC Cricket World Cup 2019 themed Emirates A380 livery in a video on Twitter. And in doing so, it’s established a reputation for taking things seriously. 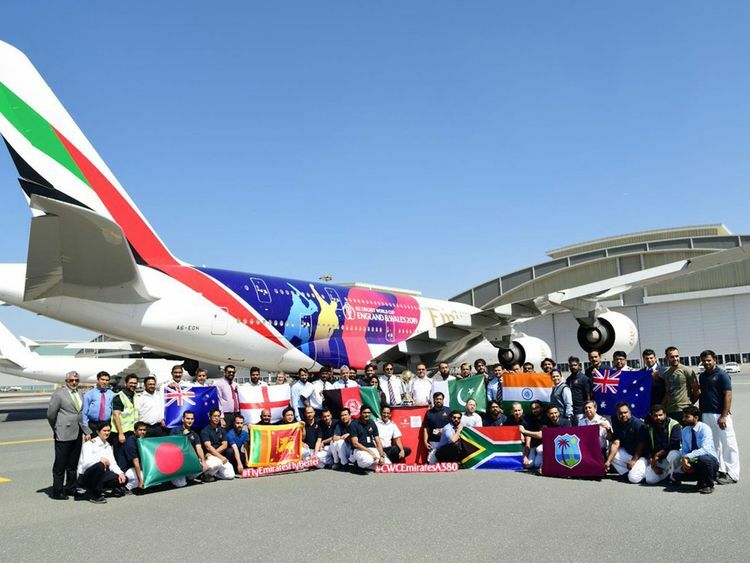 First there was Virender Sehwag, ex-India cricket star and ICC Men's Cricket World Cup 2011 winner, then players Saqib Mahmood and Tom Bailey who helped in the roll-out of the aircraft from its hanger. Then there was a nod to all the people who had made the finery possible. Oh, and there was a mini-game of cricket…right there on the tarmac. There was also a chance to glace at the trophy up-for-grabs in the upcoming tournament, which runs from May 30-July 14 this year.